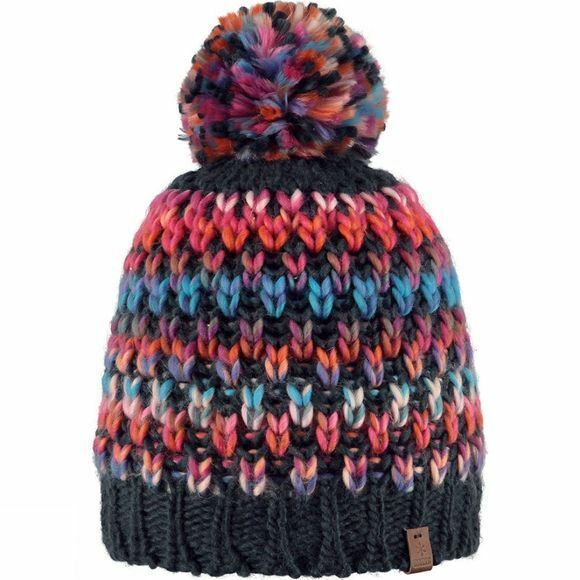 Barts Nicole Beanie instantly catches peoples sight, with its bold and vibrant combination of colours. Great for keeping you warm when there's a chill outside, but keeping you fashionable. A large bobble on top and a small leather tab with the Barts logo, completes the beanie.